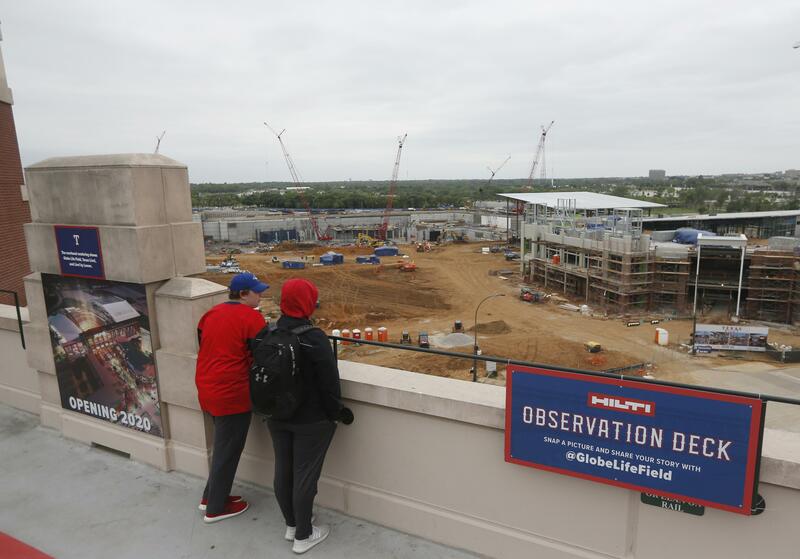 UPDATED: Thu., Jan. 31, 2019, 10:23 a.m.
ARLINGTON, Texas – The Texas Rangers will use specially designed synthetic playing surface rather than grass in their new retractable-roof stadium that opens in 2020. Texas’ decision will make the Rangers the fourth of the 30 major league teams to use artificial turf. Toronto’s Rogers Centre, which opened in 1989, and Tampa Bay’s Tropicana Field, where then then-Devil Rays started play in 1998, have always had artificial surfaces. Arizona’s Chase Field is switching from grass to turf this season, giving MLB three turf surfaces for the first time since 2009, the last year the Minnesota Twins played in the Metrodome before moving to Target Field. MLB has a high of 10 artificial surfaces, in 1977-78 and again from 1982-94. There have not been four since 2004, the last season before the Montreal Expos left Olympic Stadium for Washington, D.C., and became the Nationals. The Rangers’ current stadium, Globe Life Park, has had grass since it opened in 1994. The new ballpark is being built across the street. Texas said Thursday the decision was made after almost two years of research regarding player safety, team performance and fan experience. Shaw Sports Turf, which will provide the synthetic turf field, used Globe Life Park’s current grass field as one of the benchmarks for an ongoing playability study. The company is also part of a kinesiology study with Auburn to research how players react on certain surfaces and says it will use that data to tune systems for player safety and optimal performance. Published: Jan. 31, 2019, 10:15 a.m. Updated: Jan. 31, 2019, 10:23 a.m.